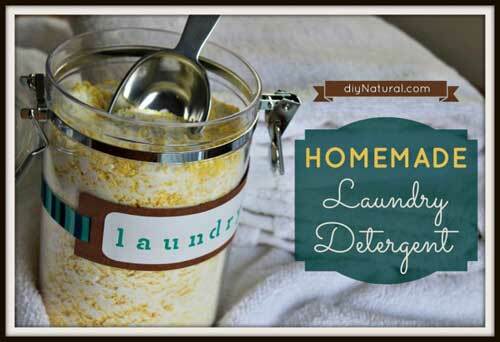 There are many ways to make your own laundry detergent. 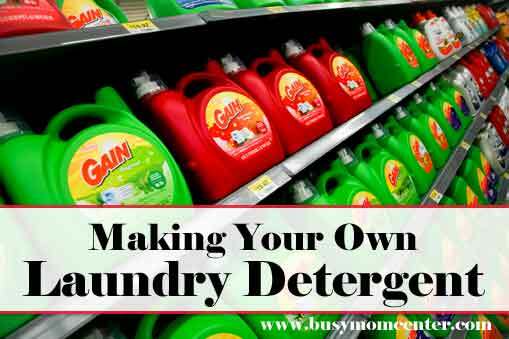 If you are someone looking to make your own laundry detergent because someone in your family has an allergy to traditional laundry detergent then going the natural way or making your own laundry detergent might be just the laundry hack you need. I have gathered up several sources who have great reputations in the area of making natural or DIY items. 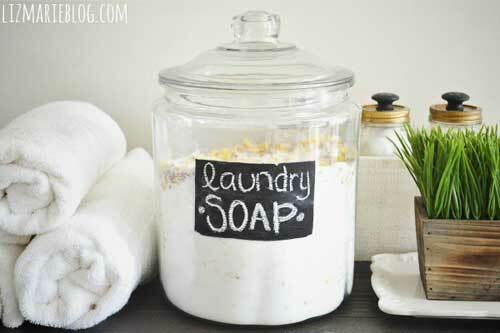 So, here is a list of places you can check out if you plan to make your own laundry detergent! 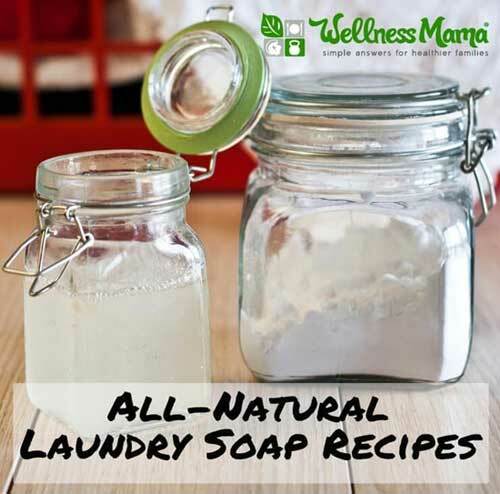 Wellness Mama – Making your own laundry soap is so easy and inexpensive that I encourage everyone to try it! 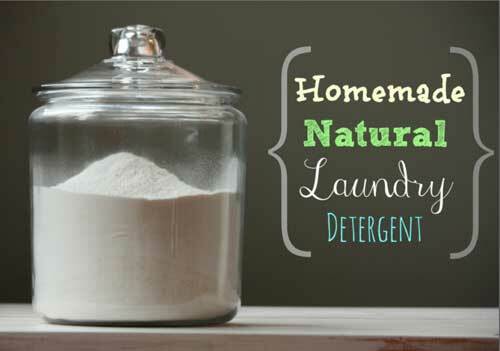 Even if you aren’t concerned about the health benefits of switching to a more natural detergent, this recipe will save money and time! Once you have the ingredients, it takes about 20 minutes total to make five gallons of laundry soap, enough for months for most families! DIY Natural : When we first set out to make our own homemade laundry detergent we thought it would be difficult and time consuming – turns out it’s neither. 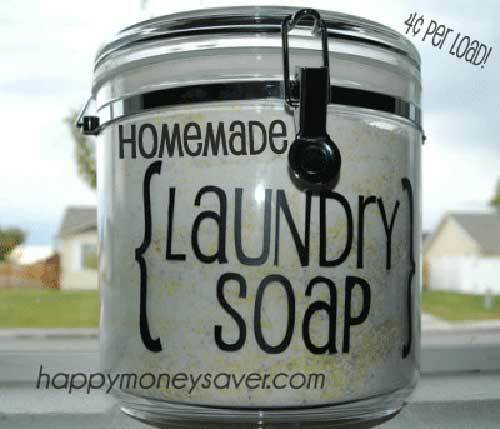 Making your own laundry powder is fast, easy, and inexpensive. Happy Money Saver : Making your own Homemade Laundry Detergent : I finally decided to try and make my own homemade laundry detergent using ingredients you can buy at your local supermarket. 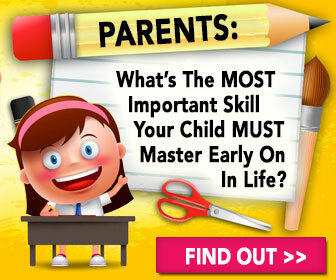 Mommypotamus – I’ve done my share of lumpy laundry. Newborn clothes with with the tags and hangers still on? Check. “Gifts” from my helpers, including a trojan poopy diaper in my whites? Oh yeah. As you can imagine, I’ve been more than happy just to be able to keep clean underoos in the house at all times for the past few years. Buying “eco-friendly” laundry detergent seemed like a pretty good option until I re-read my brands ingredient list recently. Undisclosed proprietary ingredients? No thanks! So, I hope you found a great recipe to make your own laundry detergent. 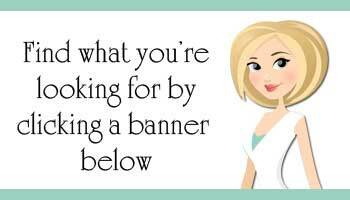 I know sometimes we may not be able to do the DIY projects because we are Busy Moms, but there are other times we may need to to them because of an allergy or illness.